Jimena Romero is a dedicated junior enrolled in the International Baccalaureate career-related program. 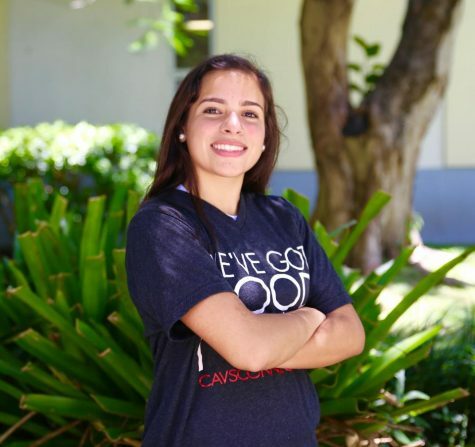 She became a member of CavsConnect towards the middle of the last school year and now is really excited to continue being part of it as a staff writer, having the opportunity of improving her journalism skills. Besides writing, Jimena is also really passionate about dancing, and this year is starting off as a Gablette member. In her free time, she likes to read and volunteer at the Coral Gables Public Library, as well as spending time with her family and friends. Jimena is a smart, hard-working, shorty Mexican, and even though she knows the year will come with quite some challenges, she can't wait to achieve the goals she has in mind. In the future, she would like to pursue a career in communication, and travel to new places.